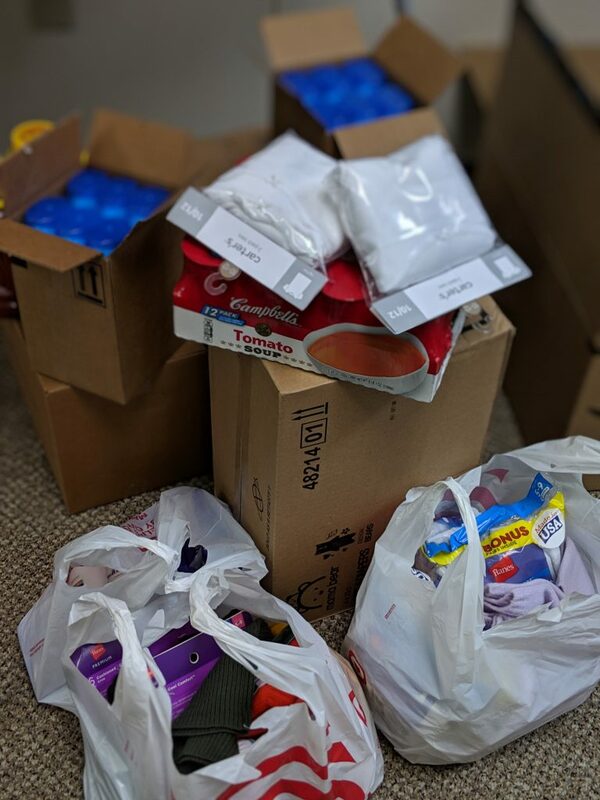 Throughout the month of November, the team at Pathways has been collecting donations of household items and other everyday necessaries to help the women and children who benefit from the hard work and dedication from the workers at the Catherine McAuley Center in Scranton, PA. The Catherine McAuley Center has helped dozens of women and children by providing them with a safe space and the necessary support to navigate their path towards a better life. For the women and children at Catherine McAuley, items that are usually taken for granted are giving these residents life! This includes diapers, wipes, formula, clothes, soaps, blankets, socks, and more. The average cost of a box of diapers can be between $21-$45. This is a near-impossible price to pay for women struggling to feed and house their family while looking for work. As a company with a majority of Scranton locals, we are dedicated to making an impact in our community by supporting local non-profit organizations. By volunteering our energy and efforts, we hope to strengthen our community one month at a time. Our company-wide community outreach program values the importance of giving back to local organizations. This is our way of doing our part in spreading kindness and helping those who need it the most. Interested in making a donation? Click here to view a list of most needed items or to make a monetary contribution.